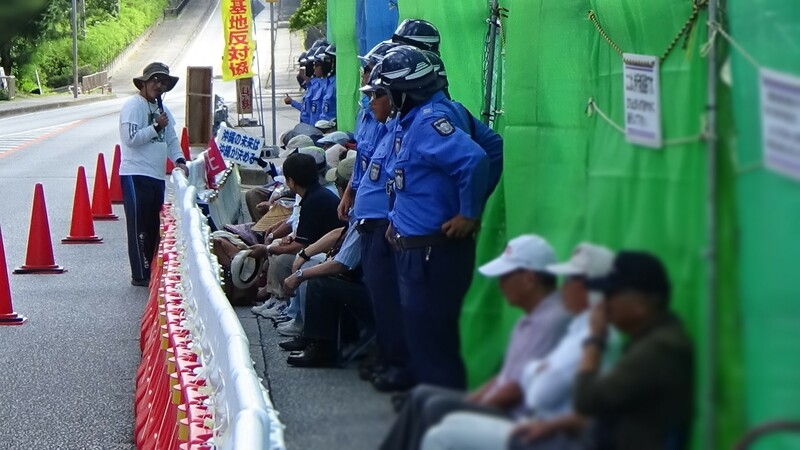 (In Front of the Gate) At 8:30 am, 40 people started sitting-in. Construction materials were carried through the Gate by dumps three times today, totaling 128 units. Twelve people from Greece and New York visited the Henoko tent. Among them, there was a man whose grandfather was from Okinawa. In a speech one of them said that “military bases destroy nature, negatively affect agriculture and at the same time infringe on human rights, so it is important for people around the world to solidarize.” The speech was welcomed with a big applause. 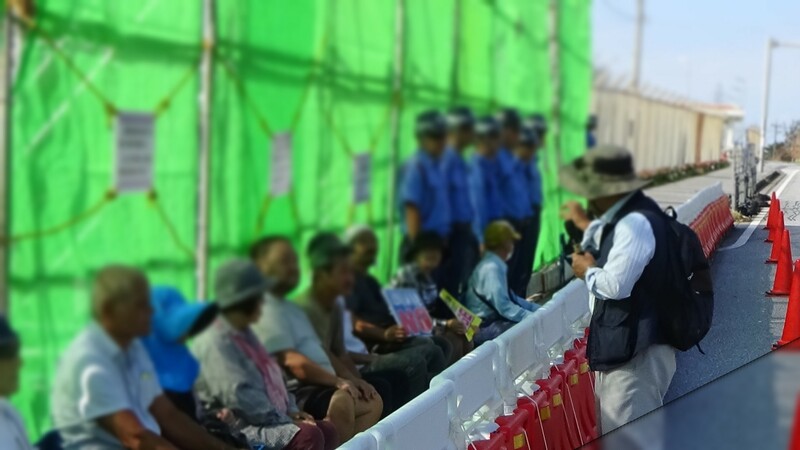 The visitors joined the second round of the sit-in at the Gate and were removed by the police. When supporters come from abroad, the US soldiers (MP?) come out of the base to take pictures of the supporters. When we tried to take pictures of the faces of these soldiers they turned their back toward us. Maximum number of participants was 60 today. At 8:30 am, two protest boats and 12 canoes began protest in the sea. A total of about 20 people participated. 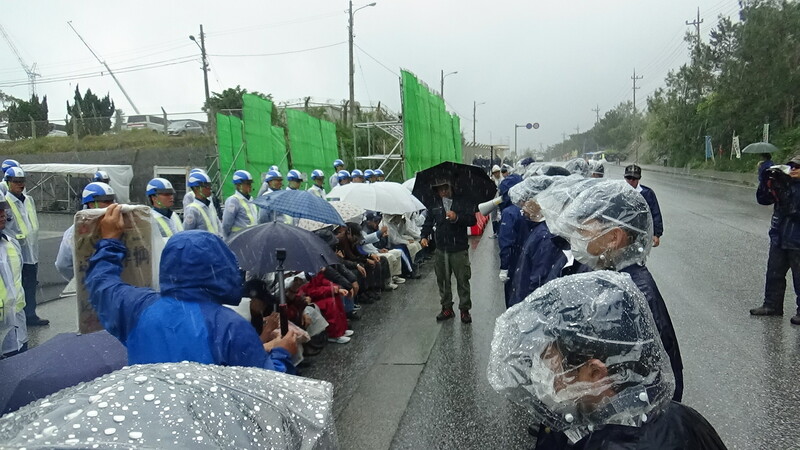 As canoe members visually inspected from the sea, dozens of dump trucks which had entered from the Gate were unloading the material at Henokozaki. It is presumed that the cargo were stones for sea-wall-road. The contractor was pulling the dirt prevention membrane to the sea location by a boat.